Three-Stone Pear-Shaped Sapphire Platinum Engagement Ring | Shane Co.
Timeless and beautiful doesn't have to be boring. 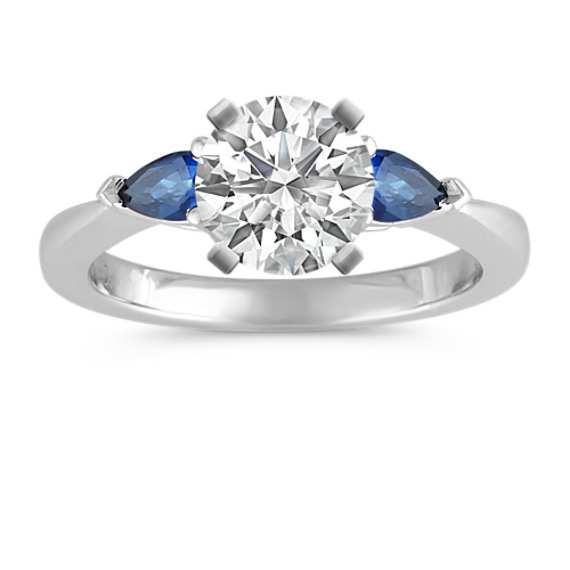 This ring combines classic style with a splash of brilliant blue. Two pear-shaped sapphires at approximately .50 carat total weight, are set in premium platinum. Have fun selecting a center diamond in the shape and size of your choice.